There are certain locales that a commercial photographer can count on for ‘on demand’ conditions. So Cal for that sun-soaked look. The red rock and blue skies of Utah canyon country. 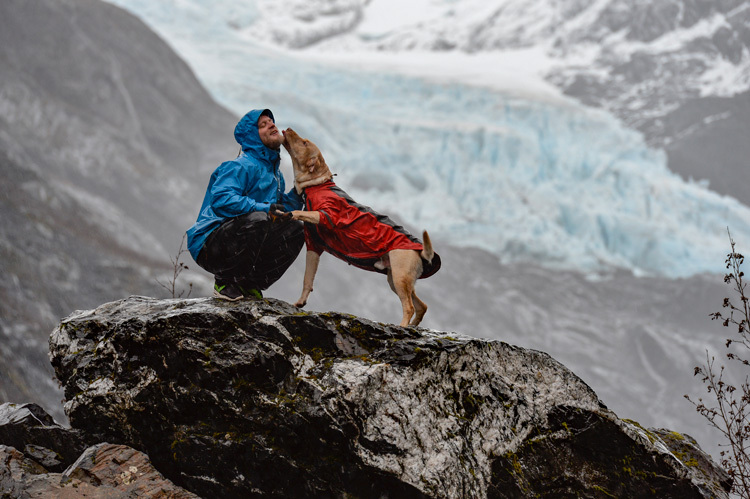 And if you absolutely need it to storm, there’s no better place than coastal Alaska. At least that’s what we thought…..
Last fall we produced a photo and video commercial for Polartec that showcased a small brand doing something unique with it’s Neoshell and Windbloc fabrics. 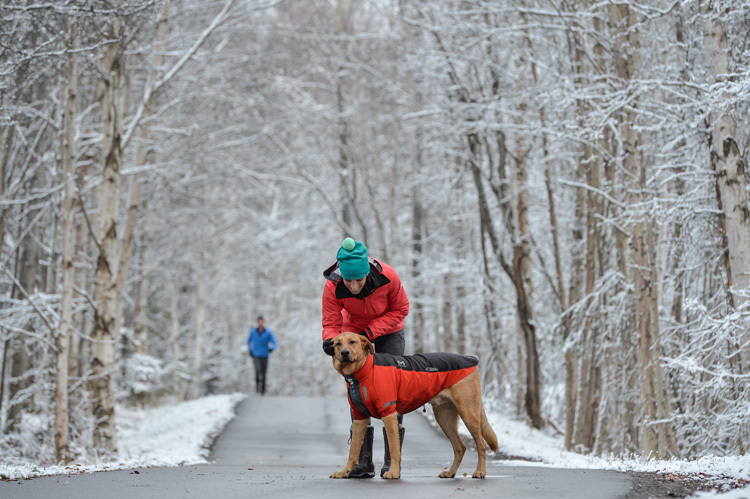 California-based Molosser has designed what might be the ultimate shell jacket for a dog. 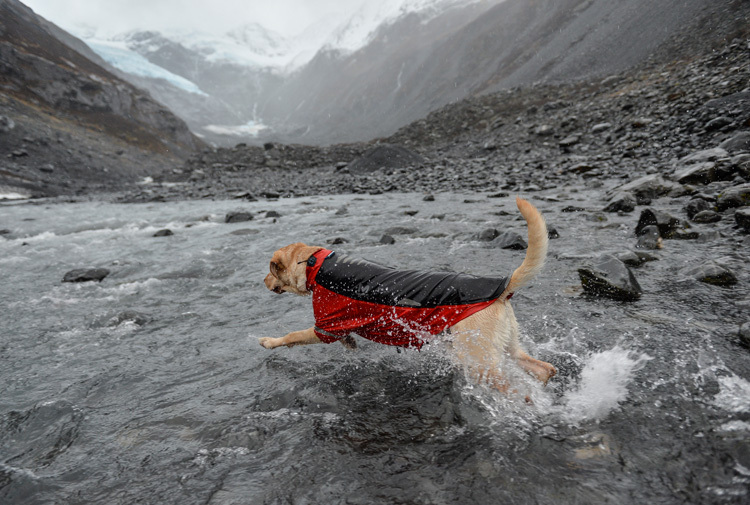 At least that’s what Polartec thinks; Molosser’s Aegis Dog Jacket was given Polartec’s Apex Award for pushing the boundaries of what designers do with their high-tech fabrics. 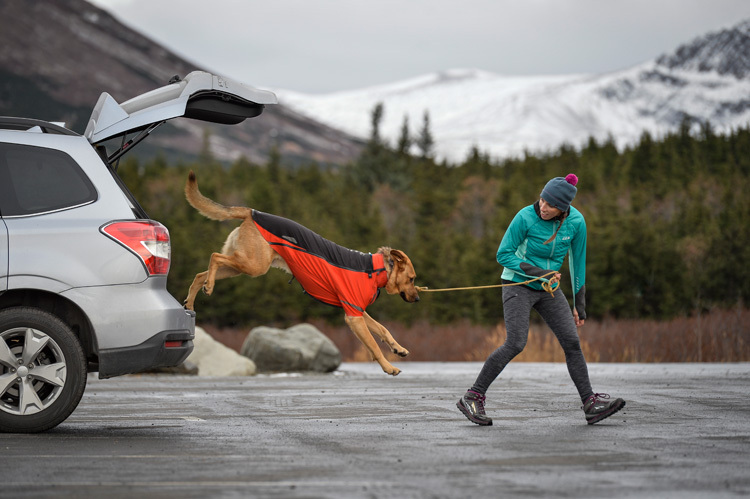 To best showcase the storm-proof qualities of Molosser’s apparel, we wanted full-on rain, wind and snow. 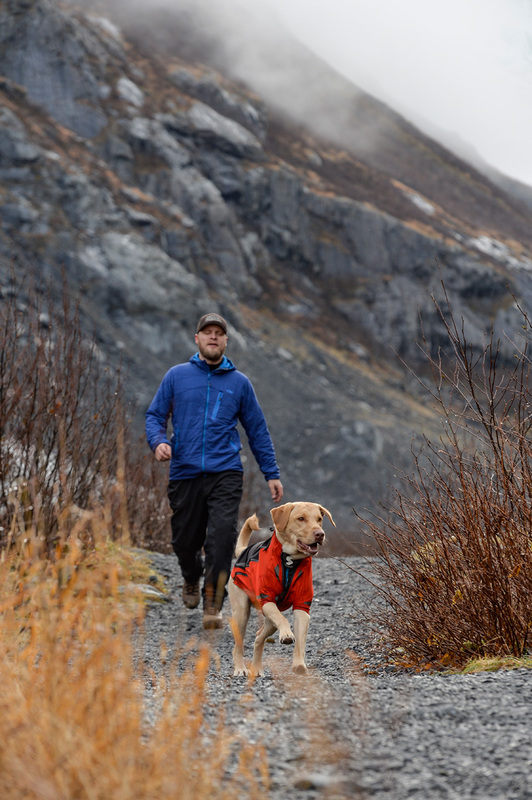 Fall in Alaska’s Prince William Sound and Cook Inlet regions are notoriously up to that task. Except for last year. After assembling the production team, the talent and getting the only two Aegis prototypes, high pressure moved in for one of the most delightful autumns in recent memory. We were ‘on call’ for nearly a month before getting our window of ‘crappy weather’. After three long days in some of the coldest, wettest conditions we’ve ever shot, the photography was in the can. We delivered a selection of pictures and a one minute video from the shoot. 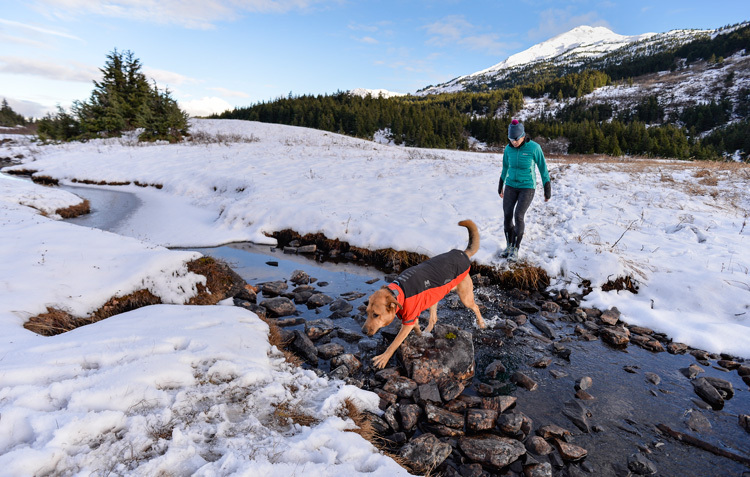 Polartec used the work to promote their signature Neoshell fabrics and secured third party rights for Molosser’s use as well. The last we heard, the Aegis jacket was in full production and should be available this fall. 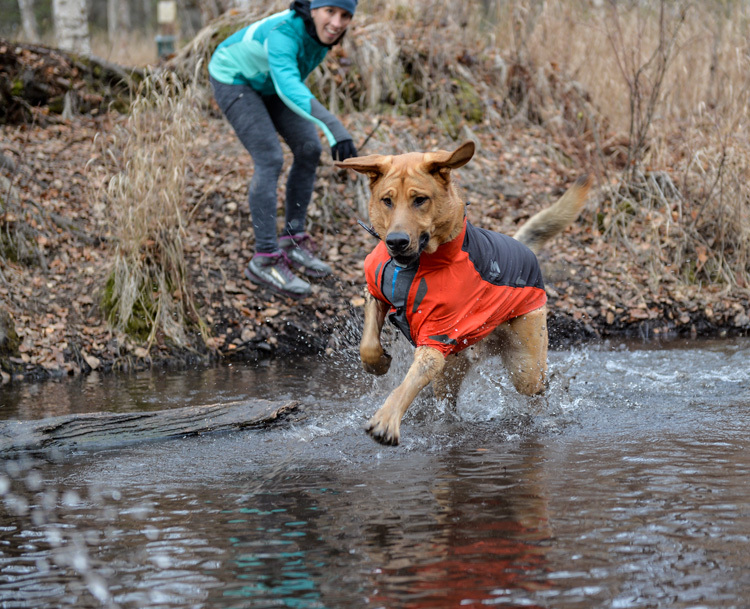 Check it out if you have a furry, four-legged adventure buddy.